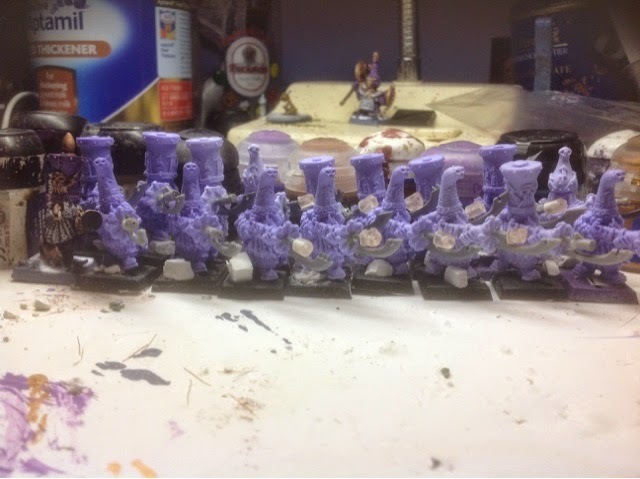 These are my WIP infernal guard with fireglaives based on the blunderbuss armed zonkcast miniatures. 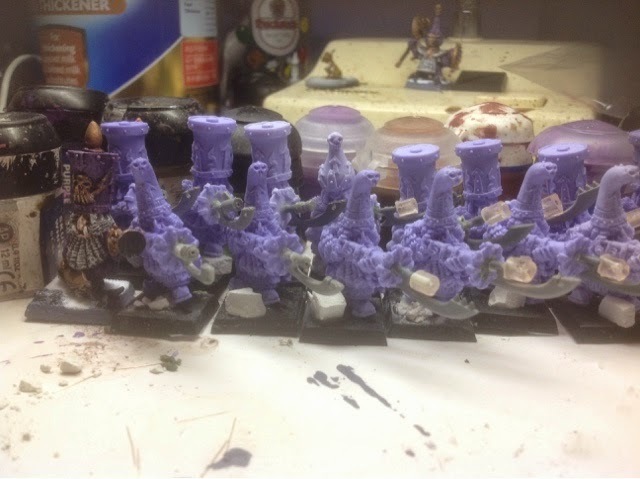 Sine the fluff has the fireglaives as unique to each infernal guard I mixed up the conversions using tomb king blades, different barrels etc. 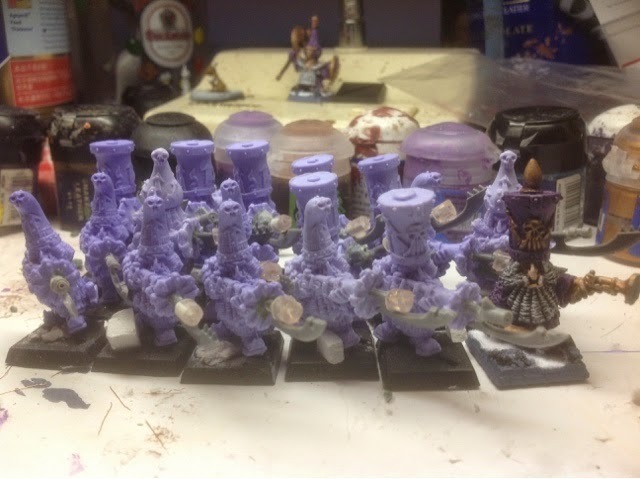 Really happy with them so will see how they turn out painted up. These guys will feature in my soon to be finished 2600 end times gun line.